The Port Authority Bus Terminal is the grubbiest, least hospitable public space in Manhattan, and its bathrooms are the worst of the worst—if you can ignore the ominous patch of grime on the ceiling and focus on the task at hand for long enough to squeeze out a few drops, you should consider yourself lucky. 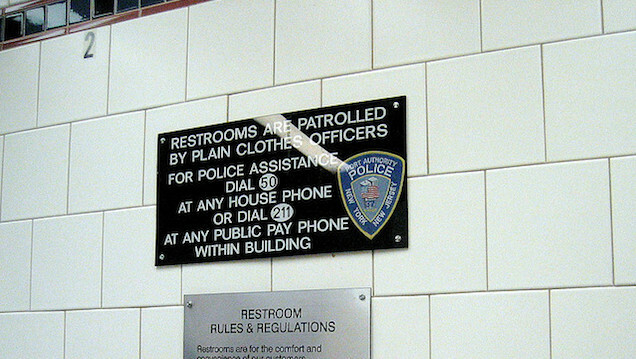 So cops: Let's afford these bus station pissers some dignity, shall we? According to a New York Times report, 60 people have been arrested for public lewdness in the Port Authority men's room so far this year—seven times more than were arrested over the same period in 2013. Many of these men claim they were only peeing. "You know how when you have a feeling someone is looking at you?" Miguel, 43, said of the episode, on July 9. "So I look over and see someone is smiling at me. It was like a smirk." He described the man as stocky and wearing blue shorts. Miguel said he "paid it no mind," washed his hands and left the men's room. Walking toward his bus to New Jersey, he was arrested. The officer kept saying, "Oh, you know what you did," when Miguel asked why he had been arrested. Miguel said he was not sure whether he had been targeted. "Anyone who would have gone next to that man, who would have stood in that particular urinal, would have gotten the rap that I got," he said. Cornell Holden believes he may have been targeted because he is gay and was dressed in a way he said "fits the description of a homosexual male" on the day of his arrest. 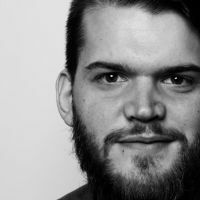 According to Holden—whose arresting officer claimed he was rubbing himself in a way "consistent with masturbation,"—he was simply "shaking off" after he finished his pee. While waiting in the terminal's police station, he told the Times, he overheard another officer refer to the plainclothes cop who arrested him as "the gay whisperer." As if you needed any other reason to exit Port Authority as quickly as possible after getting off the bus, know that stopping to take a leak on your way out might land you in handcuffs. There's a McDonald's right down the street. You can hold it.